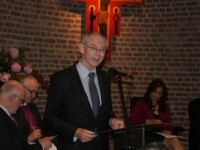 In a key note speech on “Bringing hope and solidarity to European integration” delivered yesterday evening at the Chapel of the Resurrection, also known as the Chapel for Europe, Herman Van Rompuy set out his vision for a united Europe based on values and the Christian conviction that caring for others means finding yourself. In the current crisis the peoples of Europe would go beyond their own state interest because they care not only for themselves but also for others. President Van Rompuy was echoed by His Eminence Metropolitan Emmanuel of France, Director of the Liaison Office of the Orthodox Church to the European Union, Most Rev Noel Treanor, Bishop of Down and Connor (Ireland), Rt Rev Nick Baines, Bishop of Bradford (England), Ms Katrin Hatzinger, Head of the Brussels Office of the Protestant Church in Germany and Mr Staffan Nilsson, President of the European Economic and Social Committee. The participants in the round table agreed that Europe needs renewed conviction and steadfast solidarity to secure peace and prosperity for its citizens. 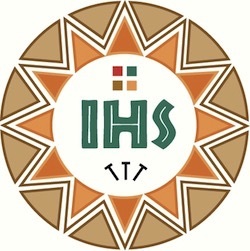 As Europe enters a new phase of integration marked by economic instability, loss of hope and question marks put to European solidarity, Churches would have to do more to communicate the positive impact of the European Union and explain that European integration is very much inspired by Christian values. Full speach, video and pictures at the Chapelle of the Resurrection.